At the beginning of the end, let's remember what we've got before it's gone. “The Americans” kicked off its final season with an aptly tense hour of establishment, table-setting, and genuine conflict. Elizabeth (Keri Russell) is burning the candle at both ends by pulling double duty as a spy — now that her partner is retired — and an instructor to and backup for Paige (Holly Taylor). Philip (Matthew Rhys), meanwhile, is working overtime, too… at the travel agency. And even then he’s finding time for a night of line dancing with his co-workers. This has been their dynamic for the past three years, but all that’s about to change. It’s 1987, Crowded House is taking the country by storm, and Mikhail Gorbachev aims to thaw the Cold War once and for all. What does it all mean for a married couple divided over which version of Mother Russia they’re loyal to? Well, after the first hour, it certainly doesn’t look like both of them will make it out of this season alive. With only nine episodes left before the series says dosvedanya, IndieWire is taking a look at where things stand in the here and now, but also honoring the little things we’ll miss when it’s all said and done. Some of it will be hard — like, Paige learning to drive. Some of it will be much harder — like Paige watching her mom stab a dude in the neck. So without further ado, let’s get brutal. After one episode, it sure looks like Elizabeth. Not only is she the one still in the game, she’s overworked and struggling mightily because of it. Tired agents make mistakes, but that’s not even what has us worried the most: During her meeting with General Kovtun (from the bluntly named Strategic Rocket Forces), Elizabeth is given a suicide pill. 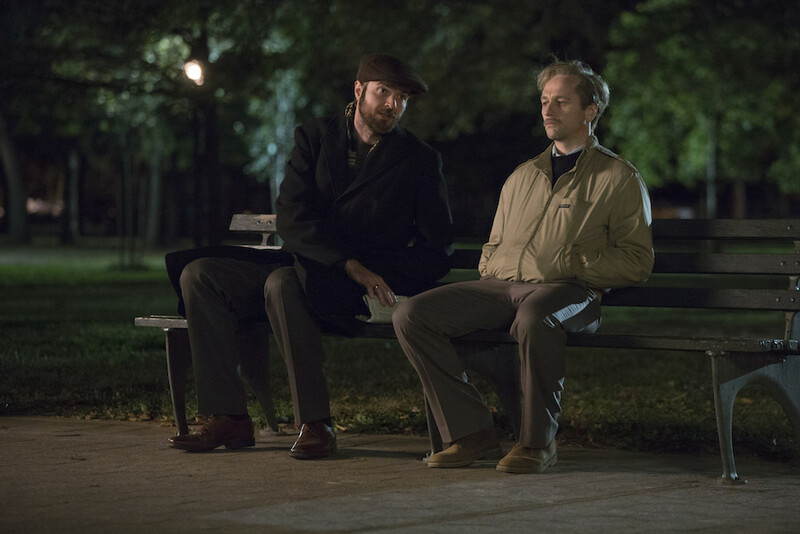 Now, “The Americans” is rarely predictable, but it also rarely wastes time. This is a big moment, driven home by Peter Gabriel’s “We Do What We’re Told” drowning out the dialogue once Elizabeth is given the pill. Someone is eating that thing by the end of the series, and Elizabeth seems ready to do it. Could she slip it into an unsuspecting enemy’s vodka? Sure. Could Philip take it instead, perhaps to save her life by sacrificing his own? You bet. We’re not putting anything by Joel Fields and Joe Weisberg, but the placement of the scene, along with its haunting music and prominent focus, make it clear how high the stakes are in Season 6 — and how far down the KGB rabbit hole Elizabeth has drifted. Costa Ronin displays the kind of exhausted tolerance and understanding only a man with Oleg’s experience could. As Arkady (Lev Gorn) slowly walks him through the favor he’s there to ask — to go to the United States and ask Philip to stop Elizabeth’s anti-Gorbachev mission — Oleg already understood where it was headed. You could hear it in his questions, uttered by Ronin as obligatory offerings he half-heartedly hoped would become road blocks to his return to America, but that he knew deep down would be no help. Oleg says “Spy on his wife?” knowing full well Arkady will massage the betrayal out of the words without changing the mission. He’s not pleading for a way out. He’s confirming his reason to go. That makes the brief shot of Oleg holding his infant son all the more heartbreaking. He’s not carefully swaddling the child or sitting comfortably with a sleeping baby in his lap. He’s desperately clinging to the baby he may never see again. A loyal man who’s grown to love the life he’s built in Russia, Oleg springs to life after the three-year time jump because Ronin so wholly embodies his will. He’s a man devoted to his country — the best version of that country he can believe in. An executive producer since Season 4, Chris Long makes his seventh trip to the director’s chair in “Dead Hand.” As has been the case for the last two seasons, he’ll be behind the camera for the final season’s last two episodes as well, and he quickly makes it clear we’re in good hands with a cooly constructed, music-driven, emotionally raw hour of television. Note how often Elizabeth and Philip are framed apart from each other. The opening montage sets up their current states without any dialogue, opening on a sleeping Elizabeth being painted by her new mark and Philip hammering the keys at the office. (There’s a quick but gorgeous shot of Elizabeth staring at the Lincoln Memorial, catching her blank reflection as the American icon shines in the darkness.) Philip takes a beat to open the moonroof on his snazzy ’80s automobile while Elizabeth smokes silently by the train tracks, waiting for something that may never happen. The montage builds to the couple seeing each other for the first time, and Long slowly pans from a crouched Philip to a standing Elizabeth. He’s enjoying a sandwich, while she checks herself in the mirror, but there is a literal wall between them in the shot. It remains in the right side of the frame as they first see each other, fades as they share a hopeful look, but then she disappears upstairs — not once do they share the frame, which emphasizes their isolation as much as the song (“Don’t Dream It’s Over” by Crowded House). 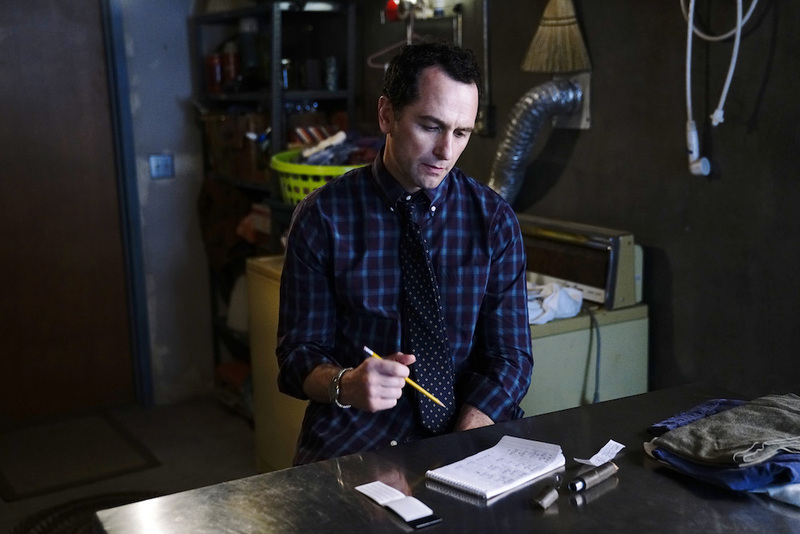 Long continues to find clever ways to separate his leads as the episode continues — even when they’re in the same frame, like at Stan’s house when Elizabeth is in the kitchen, standing in the foreground, and Philip can be seen behind her through the pass-through — and it should be noted how much information he conveys through an abnormal number of silent scenes. It all builds to the final confrontation between Philip and Elizabeth, where the husband asked to spy on his wife tries to talk to her about it. Long builds into close-ups, letting the actors do their work, but it ends on her walking away from him (just like the opening scene) and regularly frames them together before ending on Philip isolated at the kitchen table and Elizabeth finding resolve by looking herself hard in the mirror. Long doesn’t get in the way; he enhances every shot to make sure the audience is aware of what matters. Last Words — and Music! Fields and Weisberg have always used time jumps effectively, and the series’ final premiere is no different. There’s no bloat, awkward exposition, or dragging scenes meant to catch people up. “Dead Hand” hits the ground running and set up a harrowing last leg of the journey. It’s Philip vs. Elizabeth. There needn’t be more at stake than that, but there is — Season 6 is going to be one doozy of a goodbye. “The Americans” airs new episodes Wednesdays at 10 p.m. ET on FX. There are nine episodes left in the final season.